CWC Clubs - Join Anytime! 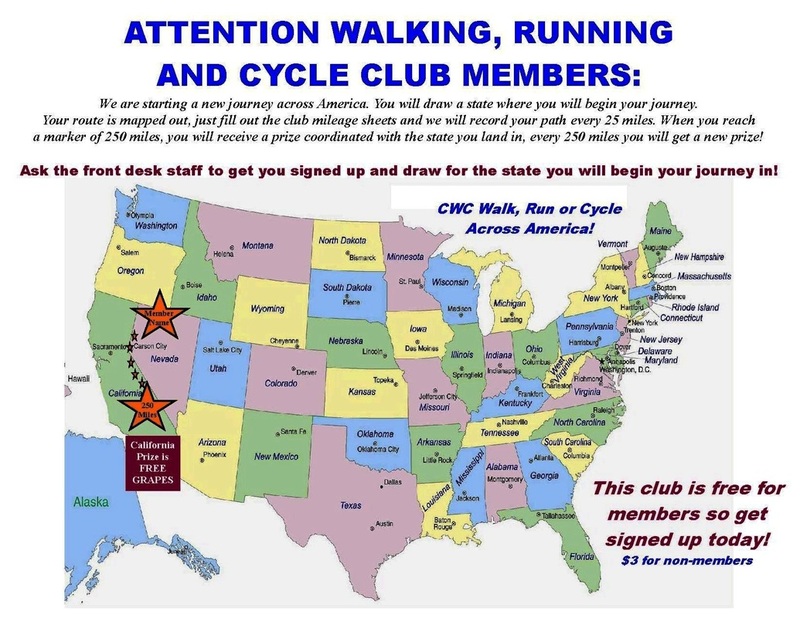 The CWC Clubs are for anyone interested in running, walking, &/or cycling to track the distance they have gone at the CWC! Miles may be accumulated by running on the treadmills or running laps on the indoor track.